Bandipur tiger reserve is situated in the southern region of Karnataka in India. The distant Bandipur National Park, located in the Chamarajanagar district in the state of Karnataka, offers one of the enticing places, to indulge in the thrill of adventure. The traveller visits the vicinity of Bandipur to get captivated by the aura of the forests and the wildlife. The charming place always provides the right medium to rebuild the lost ties with the mother nature. Bandipur is situated under the Nilgiri Biosphere, receives a number of rivers such as Kabini, Nugu and Moyar as a benediction. The rindle is a common occurrence at Bandipur. This maintains the park on the route that is covered by numerous tourists, every year. The park has a considerable amount of tigers and elephants. Karnataka and Tamil Nadu control this park together. The Region of forest in Tamilnadu is called as Mudumalai reserve. This tiger reserve is recommended for the recognition as a heritage site. This park suits people who love photography, nature, and adventure. Many adventure activities are available within the park. Many lodges and resorts near the park provide packages that include many activities inside the park that are not usually available to all visitors. Central region – This region has Nugu River which is famous for spotting animals. Himavad Gopalaswamy Betta summit is located in this region. This is the highest summit in the park. This summit is famous among trekkers and pilgrims. People trek to the peak to get a panoramic view of the park. There is a Hindu temple in the summit. Sandalwood trees are found here. Elephants are common near the hill due to the presence of many watering holes. South – This is the best spot to find many animals. Elephants, bison, deer, squirrels, jungle cat and other animals are found in this region. Moyar river is running in this region. North – This region covers the backwater and river of Kabini. There are also two streams found in this region. Birdwatching and boating are common in this region. Bicycle tours are available in this region. In the summer when the river dries up, birds can be spotted in large groups. You can spot many fishes too. East– This area is comprised of major forest area and scrub jungle. The Reserve area of the park contains dry deciduous trees and moist deciduous trees. The shrublands of the park are filled with many flowering plants. Best place for birdwatching. Spotting carnivorous animals is easier here. North West – This forest is famous for Kabini reservoir. Kabini reservoir is the main water source. This is the spot to find animals during summer. This region is dominated by dry deciduous forest and tropical forest. In the monsoon season, the place will be lush. Bandipur Safari Lodge, Jungle Lodges, – Elephants roaming through the forest, moving majestically; the thrill of watching tigers on the prowl; the resonating cacophony and vibrating colors of wild birds – that’s Bandipur National Park for you. And what better way to respond to the indomitable call of the wild than spending some quality time at Bandipur Safari Lodge, located on the outskirts of the Bandipur National Park. Bandipur safari lodge spreading across 880.02 sq km of area, Bandipur National Park, also known as Bandipur Tiger Reserve, showcases the blissful natural world of Karnataka, a South Indian state. Do Come to Bandipur to watch the jungle going wild with gaur, elephants, chital, wild boar, and sambar. You never-before-seen experience: watching an unexplored world of jungle life unfolding before you. If you are a passionate birdwatcher, Bandipur is a place you shouldn’t miss. So, plan your trip, pack your bags and head straight to Bandipur Safari Lodge to see nature unraveling its mystery on its own. 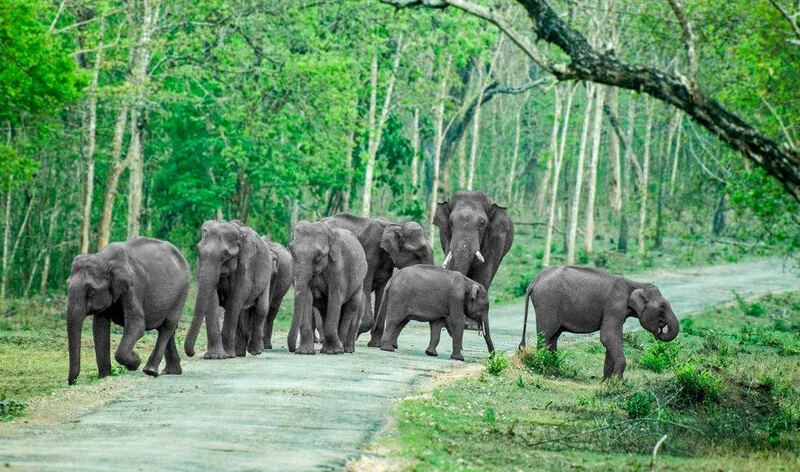 Any time of the year you can come to the Bandipur National Park. Anyhow, for wildlife enthusiasts, the ideal time is the summer months of March, April, and May. The time between October and February is the best season for you to come to the park to enjoy the greenery.